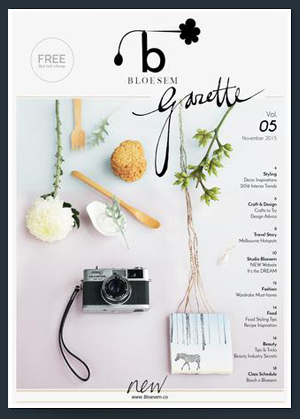 Hi Blogland, It’s been a very busy week for me at Bloesem. It is great seeing all the new designs that were sent to me over the last few days and finding others through the internet and the magazines. I would like to finish this week by showing you six artists and their studio's, who all create and sell items which I have added to my wishlist.... Enjoy and hope to see you back on Monday! Just some images from a beautiful brick and mortar store in Buenos Aires, Argentina. Emi is is the owner of Coucou, a decoration store, in Palermo, according to Emi the coolest neighborhood in Buenos Aires. 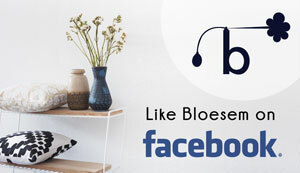 Coucou sells restored and new furniture, lamps, cushions, tablecloth, vases, notebooks, laptop covers, etc. I thought I show you Coucou for some wonderful inspiration. 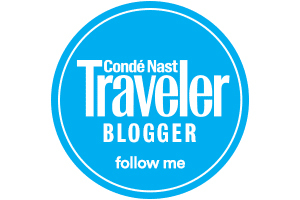 Visit Emi’s blog right here, Micoucou. These are the most beautiful handpainted stones I have ever seen. 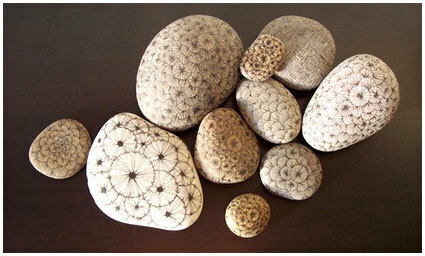 I found them on blog Julia Likes and it appears that Julia’s fiancé Yoran is the painter of these stones. Yoran is actually a landscape designer and they both live in the South of France. You can order the stones online at Julia’s blog. MonsterinMittens is a New Zealand based company, which specializes in producing hand knitted merino baby clothing in vintage styles with a classic twist. Tracy and Emma are the founders and they employ a collective of handknitters throughout NZ and only use NZ Merino wool including their beautiful soft organic merino wool which is perfect for baby's first woolen garment. 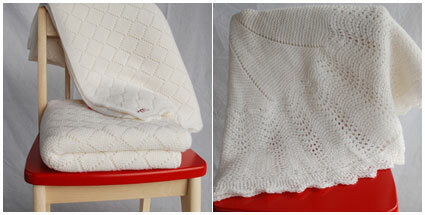 I truly love these blankets...if I would be pregnant again…Here you can view and buy their collection. 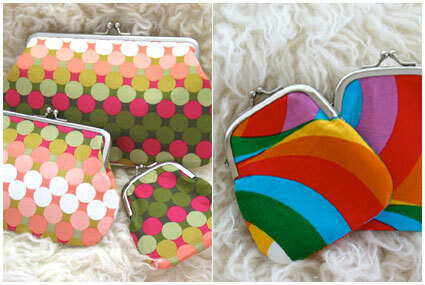 Beautiful purses by Jaime Beattie from Australia. Jaime has a amazing collection of accessories, you can order them online. Sweet birds banner by Craftsbury Kids. 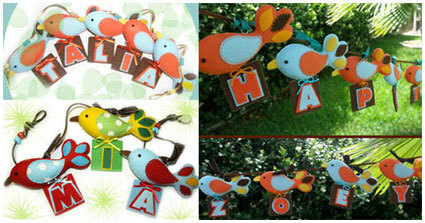 The banner holds the letters of your favorite little one's name. Use it as decoration for your kids bedroom or create a colorful birthday banner to be used year after year. You can choose the color theme and Craftsbury Kids will deliver a custom banner made especially for you. To order click here. 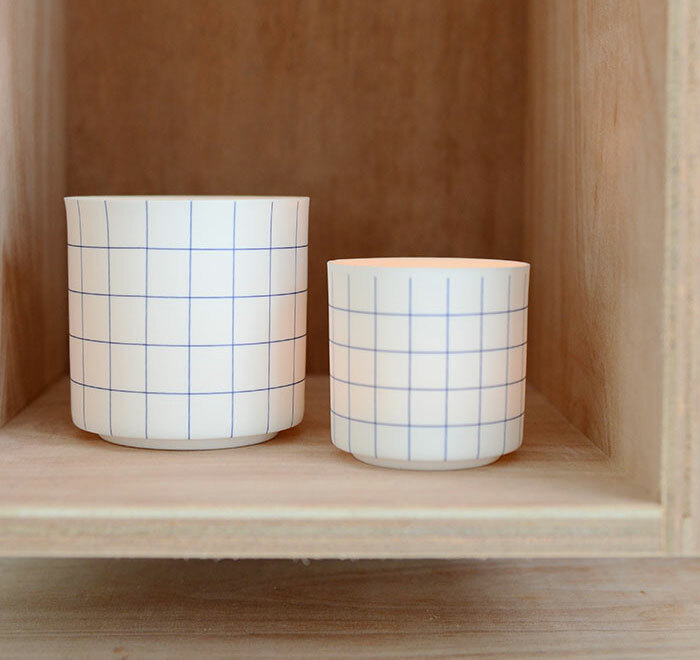 While scrolling through Trunkts database I found the work by textile designer Yuko Uemura. Yuko is originally from Tokyo, but now living in Chicago. Here she also founded her company PataPri. The colors in this fabric are amazing…very soft, but not too sappy. 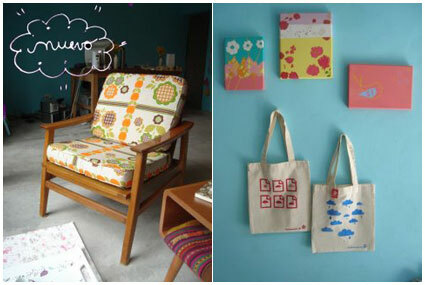 The pillow covers, tea towels and fabrics are all handmade. Also the patterns are designed by Yuko herself. 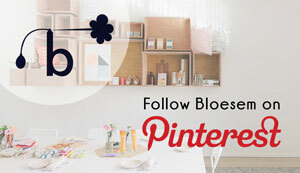 Here you can find her webshop and her her blog for news and updates.